October 29, 2013 marked the one year anniversary of Hurricane Sandy in New Jersey. Gov. Chris Christie made it his personal goal to travel to every town in New Jersey that was severely devastated by Hurricane Sandy. One of these towns included Union Beach, New Jersey which was a major disaster after Hurricane Sandy last year. A major restoration project was taking place at 46 Schooler Road for John and Angela Ciangiotto, a 75 year old couple who lost their home after residing in Union Beach for over 43 years! Quality Concrete acted as one of the rock hard foundations to create a NEW Beginning for the Ciangiotto family. They donated concrete for the walkway of the Ciangiotto residence. Several companies volunteered such as New Jersey Hope and Healing, United Way, Fedex Cares, New Jersey Cares, and Gateway New Jersey.Work was led by Joe Gambuello as the primary foreman for Gateway, N.J.
John Ciangiotto, initially had a contractor begin the work and then disappear shortly after, without finishing the project! He was truly amazed at all of the help he received from volunteers and numerous organizations including Quality Concrete. “I’m as emotional today as I was the day of the storm,” he said. Later that day the New Jersey Governor Chris Christie visited the residence and gave a speech on rebuilding Union Beach and other towns hit by Sandy last year. He thanked all volunteers for lending a helping hand including Quality Concrete. Tom Roman is the owner and president of the Quality 1st Companies. 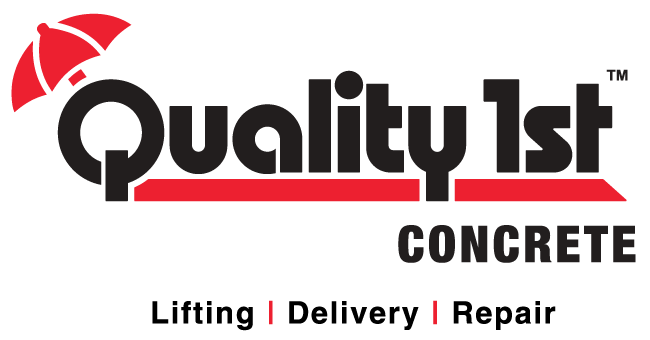 In business since 1987 representing Quality 1st Basement Systems, Quality 1st Contracting, Quality Concrete, and Foundation Supportworks of New Jersey.